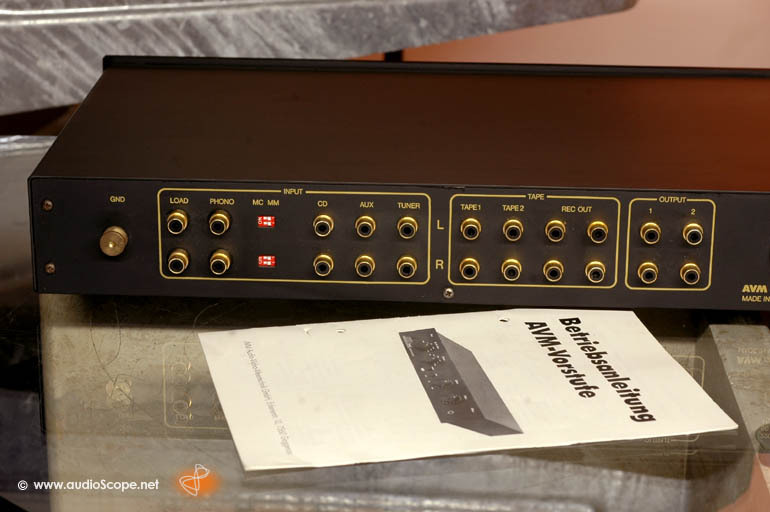 AVM Vorstufe Preamp for sale. 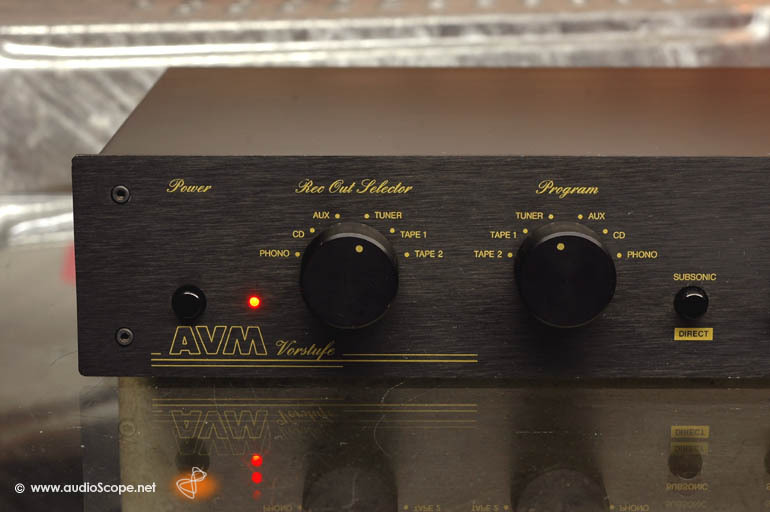 The small version of the legendary AVM V3. Not better, but much cheaper than the big sister. 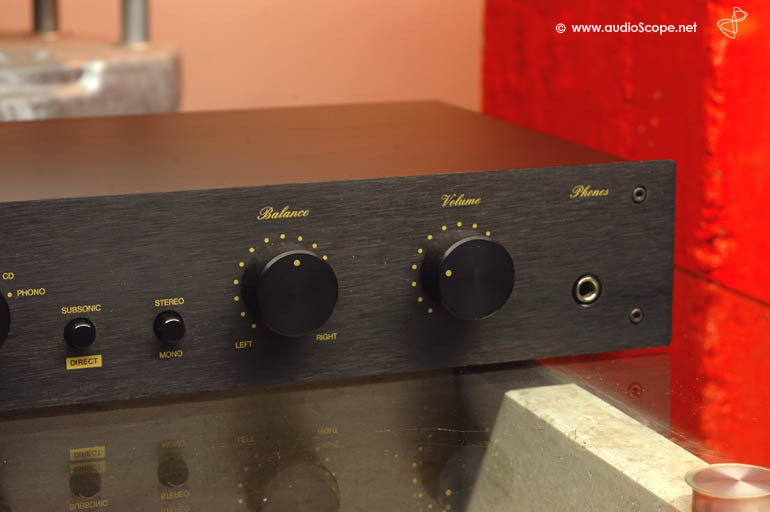 Puristic circuit design offers audiophile sound quality. Shortest sinal paths are guarateed. 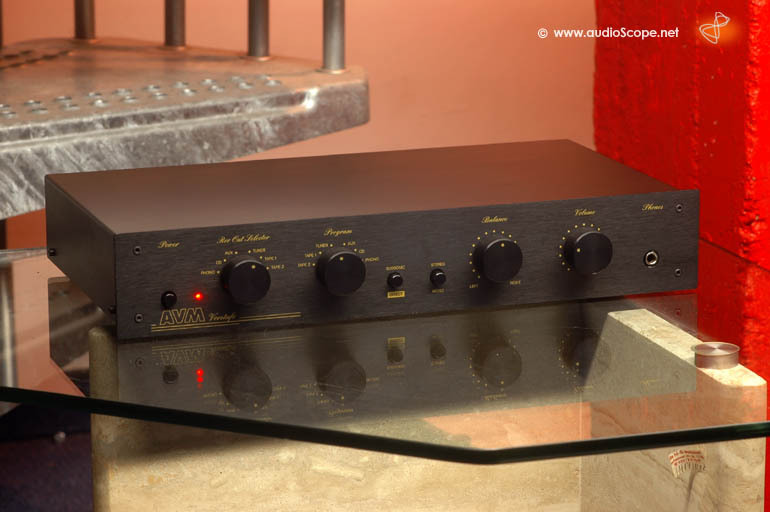 This Pre features 5 high level inputs + phono MM or MC. With resistance plugs, the phono input resistance can be variated/adjusted for optimal peformance in "cooperation" with your pickup. The optical condition is good as new, no signs of usage. The unit comes with the original owners manual.